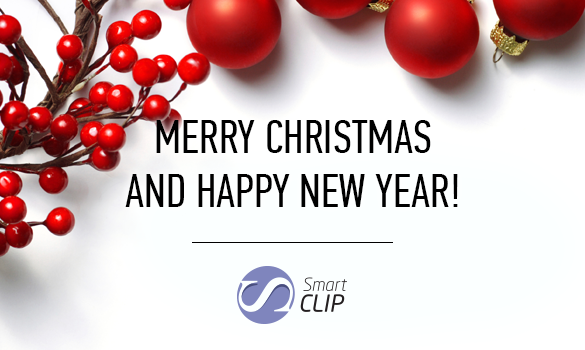 On this Christmas all of us at Smart-Clip join in wishing you happiness, love and prosperity for the holiday season and every other day during the magnificent year of 2016. Happy holidays and best wishes for a bright and successful year ahead! Due to scheduled maintenance work, the site will not be available on Sunday, February 8th, from 04:00 CET to 06:00 CET. 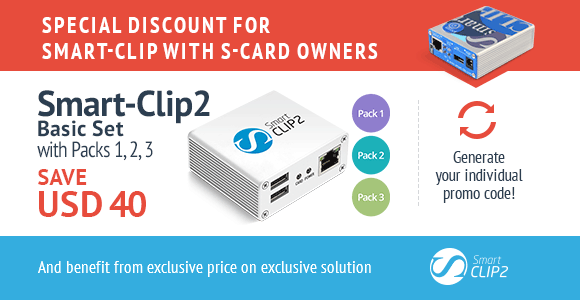 Special offer for Smart-Clip with S-Card owners! Save USD 40 on Smart-Clip2 with All Packs Activated. 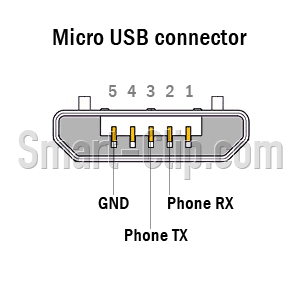 Open Smart-Clip bookmark (for instance, at "Smart-Clip USB Port (GSM) "tab). Press "Get Promo Code" button. After the promo code has been generated, copy it to the clipboard and insert into "SmartClip Promo Code" field while making an order. 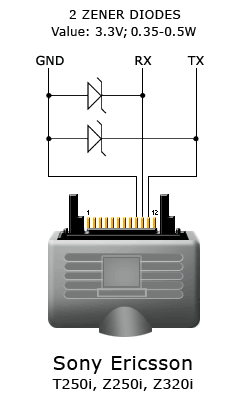 Cost of Smart-Clip2 with All Packs will be recalculated automatically. Far back in 2004, the legendary Smart-Clip - a result of cooperation of Smart Clip and GsmServer Teams, appeared on the market. During the past 10 years this solution became one of the most widely used tools. We can hardly imagine a service center without boxes made by GsmServer, which have already got an excellent reputation and user confidence. Feel free to contact sales managers in GsmServer online store to make a preorder. Orders will be shipped starting from May 8th.